BOLA Australia is a Belgravia Technologies company distributing BOLA equipment throughout Australia. From young cricketers through to seasoned professionals BOLA has developed the international equipment of choice. BOLA Australia is a subsidiary of Zappasoft which develops innovative digital coaching tools used by individuals, schools and clubs. The distribution of best practice indoor and field equipment through BOLA Australia now enables the Zappasoft group to cover all bases in the provision of best practice cricket coaching ‘tools’. 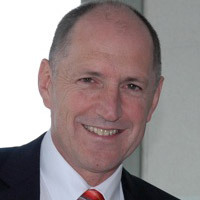 Mark is a visionary leader who has brought 40 years of experience in the international IT industry to the field of sport. His high level expectations of both technology and equipment are enabling sporting organizations and players all over the world to achieve their ultimate goals. Mark was a keen sportsman throughout his school and university days and now enjoys playing golf and an interest in sports photography. A genuine cricketing enthusiast he has been involved in the development and coaching of young cricketers for many years. Neil is a qualified teacher and a level 3 cricket coach. His experience in both education and sport spans 40 years. Between 1995 and 2007 he was Head Coach of cricket at the Victorian Institute of Sport. During this period, he also coached the Victorian U/19 team to an impressive 3 National titles and helped develop 5 Australian Youth Captains. 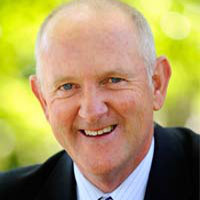 As a player, Neil played over 300 games of Premier cricket and had a division of the Victorian Premier Cricket competition named in his honour during the 2006-2007 season. He was also a very successful baseballer, representing Australia as a third baseman, and also winning the coveted Helms Award as the best player in Australia. He received an Australian Sports Medal in 2000 for his service to cricket.